Euroviews: Flux is a publication that strives to develop a deeper understanding of how Europe is changing in this modern age. Between March 27 and April 27, 2017, four teams of talented journalists and photographers will travel to separate destinations around Europe to provide a deeper understanding of how instability, change and recent developments in their chosen destinations represent Europe as a continent in flux. Travelling to Cyprus, Poland, Romania and Russia, our journalists will provide on the ground and up-to-date coverage on the changing nature of society and politics in each state. Also, to provide a more in-depth understanding of how Europe is changing, each team will publish full length feature articles from their respective countries in late April. Flux (and Euroviews as such) is an independent publication that operates out of the Danish School of Media and Journalism, in Aarhus, Denmark. Here are earlier editions: 2015, 2014, 2013, 2012, 2011, 2010. Tihomira Doncheva is a 22-year-old Bulgarian who is always looking forward to new adventures. After graduating from high school, she moved to Scotland to study Journalism at Robert Gordon University. But staying at one place was never her thing so she packed her suitcase yet again and decided to move to the Netherlands first and then Denmark, following the amazing “Europe in the World” programme. She finds herself fascinated in politics, the European Union and how the East and the West make up the puzzle of Europe. Tihomira dreams of becoming a foreign correspondent one day, reporting from the Middle East and later from Brussels, turning the whole Earth into her home. Tessa Fox is a freelance journalist, photographer and filmmaker, originally from Australia. 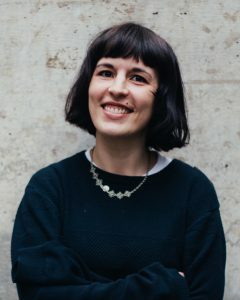 She has had news articles published in Mail & Guardian (South Africa), VICE/i-D, New Matilda, ABC Online, SBS World News, Crikey, The Southern Star, The Source and The Westender. As a correspondent she has reported from Myanmar, Ethiopia, Vanuatu, the Solomon Islands and various EU countries. 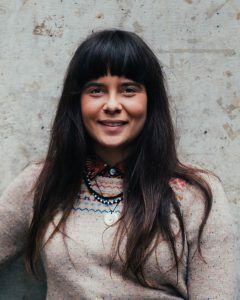 She has also been awarded a Highly Commended in the Ossie Awards, Dart Centre for Journalism and Trauma Asia Pacific Prize for her story ‘Generational Trauma: Fresh Battlegrounds From A Forgotten War.’ Her journalism focuses on Africa, war & conflict, Indigenous affairs, gender issues and the environment. Francisca “Loly” Velasco is a storyteller with a camera and an interest in women and gender dynamics. Originally from San Diego, Loly moved to San Francisco to pursue her dreams of becoming a Photojournalist. Now she is traveling and reporting her way through Europe. With no intentions of staying put anytime soon, she plans to move to Australia next. Helena is a freelance journalist who has published several articles in Belgian an Dutch media outlets. She is mostly interested in human rights and would like to work as a conflict reporter in the near future. With her motto: “Home is where the heart is, so better take your heart with you”- she travels the world trying to find the way to a liberated mind. 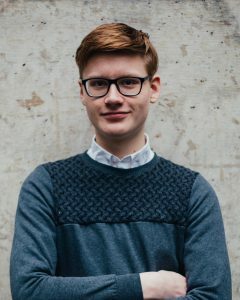 Emil Staulund Larsen is a Danish freelance and journalist student, with a main focus on European issues and local politics in Denmark. He has worked as a journalist at the newsmagazine Nyhedsmagasinet Danske Kommuner and at the labour union HK/Privat. 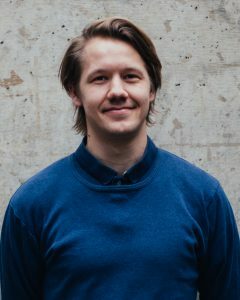 He has done freelance work for Magasinet Europa, Murmur, Avisen Kommunen and Globalnyt and was a part of the Alpbach Media Academy in 2016. Will begin a two year Erasmus Mundus Master’s in Journalism, Media and Globalisation in the summer 2017. 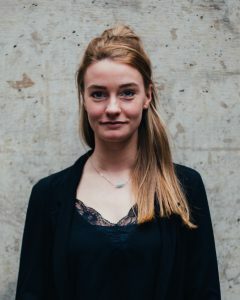 Fieke Snijder is a 26-year-old Dutch journalist currently living in Aarhus, Denmark. Graduating from Safety and Security Management, she discovered that her heart is in journalism. Fieke has previously been published in print and online in various Dutch news outlets including AD, DUIC and nu.nl. She is always looking for new angles and sources, valuing reliability and loyalty. Fieke covers stories concerning politics, the European Union and the dynamics between Eastern and Western Europe. Anne-Laure is a 23 year-old french journalist from the Bordeaux region. After a bachelor in cultural mediation, her first passion, writing stories became an evidence. She studied the press magazine at the Journalism School of Tours in France (EPJT) in order to write long form feature articles about the world around her. This year her curiosity led her to the Netherlands and Denmark to see the world from a different perspective. Be able to write original stories and discover new things are Anne-Laure’s goal. It might lead her to report from foreign countries or to write stories back in France with a foreigner eye back. A very open-minded journalist who is always seeking for new adventures. Her eye for detail is reflected in her work. She is eager, willing to explore new cultures and loves to travel. She is determined to reveal underexposed subjects. Her aspiration to be a journalist in the current environment shows that she is fearless, hardworking and a real go-getter. 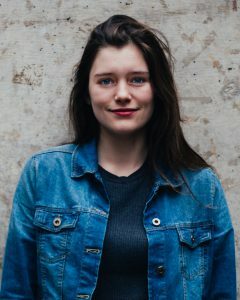 Emily Jarvie is a 21 year old Australian journalist who calls Tasmania home. 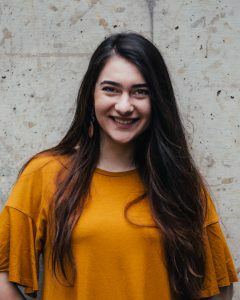 Studying both Journalism and Geography majors at the University of Tasmania, her interest lies in people and their spatial connections through cultural and social relationships. Having studied journalism in Australia and Japan, she has now turned to Europe to expand her skills to become a global reporter. 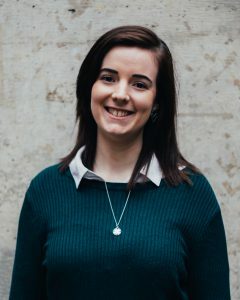 Emily is passionate about travelling and captures her adventures in vlog form and one day aims to be a foreign reporter, telling stories from around the world. Samantha Dixon is an Australian journalist, hailing from the tiny island-state of Tasmania. Set loose in Europe, she is tackling issues concerning politics, economics, and human rights across the EU. 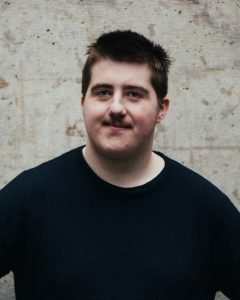 Previously working as a Creative Producer in advertising, Sam is particularly interested in media theory and the power media has over the world. Now living in Europe, she is able to explore culture, and tell the stories of the people she meets. Noah hails from the bottom of the world in Tasmania, Australia and is currently living in Aarhus, Denmark. He is a Journalism, media and communications major has studied media in Australia, Japan and throughout Europe and hopes to continue exploring the world through work and travel. Noah has a particular interest in human stories and likes to write about people and their influence in society. 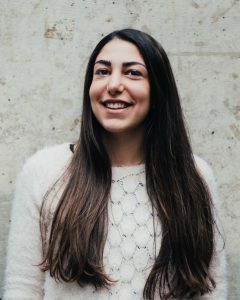 Ghina is a 21 year old journalist from Lebanon, currently living in Aarhus, Denmark. 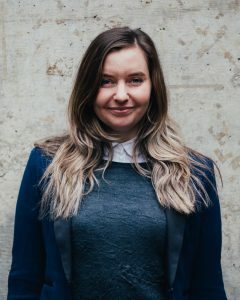 She has always been interested in PR and social media, but decided to move to Europe to challenge herself and learn more about world and EU politics. Her next plan is to go back to the middle east and use everything she has learned to become a foreign correspondent. 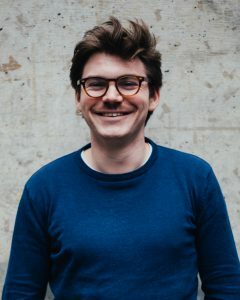 Next to a full-time positivist, Matthias is 22 years old Belgian journalist who’s passionate about the ordinary people’s story. He’s not the man who like to work from the office. You would rather find him where the stories are being told: bars with good coffee, beers and music. Alexander is a young, ambitious journalist who is always looking for the ‘why’. With empathy for human interest and huge interest in the subject’s economy, foreign affairs and politics. 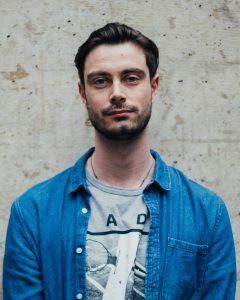 Besides being active in the community of young European journalist he has published for Euronews, Business Insider and the Dutch Algemeen Dagblad (AD). His fascination for Eastern-Europe and history has brought him to Russia! 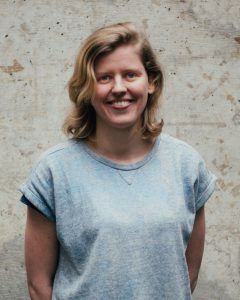 Miriam is a photographer and journalist originally from Brisbane Australia, now based in Denmark. 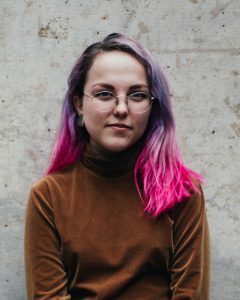 Majoring in photojournalism and social documentary, Miriam is interested in social rights issues and changing cultural dynamics throughout the world. Using photography to explore human nature keeps her looking at life with a different perspective, in an attempt to understand the human condition and become a stakeholder in the lives of stories she seeks to tell. 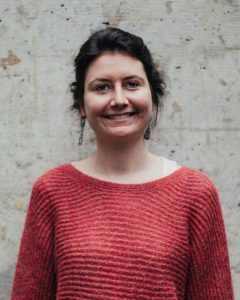 Miriam has participated in photography master classes in Cambodia and India, and is now part of the ‘Europe in the World’ honours program for advanced journalism and photography. She plans to move to South East Asia once her time in Europe is finished, and tell stories from the other side of the road. Journalist from Brisbane, Australia, Bennet has worked for multiple publications both at home and abroad. With a specific focus on political and investigative reporting, Bennet strives to uncover and report on the clandestine and influential factors that underly the key issues in society today. Sergei Filatov is a 21 year old journalist from Russia. 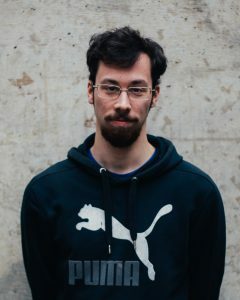 Sergei studies media in the Netherlands, but currently he tries himself in journalism, living in Aarhus, Denmark. He likes writing stories about young anarchists, communists, populists and all those, who seek for profound changes. Although, most of his publications are in Russian and concern mostly philosophy, Sergei is very interested in real stories that take place right now in Europe.